MANILA, Philippines – National Artist for Visual Arts Benedicto “BenCab” Cabrera is celebrating his 50th year as one of the country’s most renowned artists. As part of the brand’s movement to support the arts, smartphone company Samsung recently opened an interactive exhibit at the Yuchengco Museum to celebrate the National Artist’s creative milestone. National Artist Benedicto Reyes Cabrera. 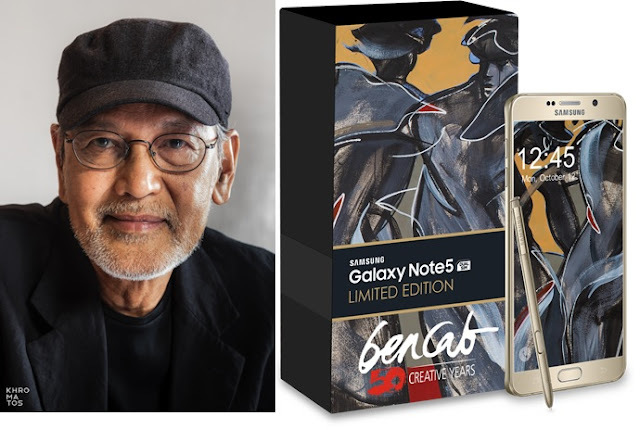 To coincide with the event, Samsung also unveiled the Galaxy Note5 BenCab Limited Edition, of which only 1,000 units will be made available in the market. Visit ZALORA Philippines website (zlrph.com/samsung-bencab) or go to the select Samsung Experience Store to buy the Galaxy Note5 BenCab Limited Edition smartphone.